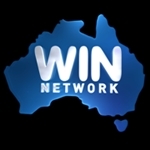 WIN Television has announced that it will be shifting presentation of its evening WIN News for Tasmania to centralised facilities on the mainland. The final WIN News to be presented from the Hobart studios will go to air on Friday 17 August. 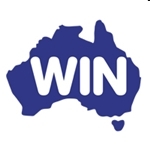 From the following day, WIN in Tasmania will broadcast Ten Eyewitness News‘ national Sydney-based bulletin on weekends, and from Monday 20 August the weeknight WIN News bulletin will be presented from WIN’s Wollongong headquarters. The move further centralises WIN News presentation, with regional Victorian and Queensland and Canberra news bulletins also hosted from Wollongong. While reporters and camera crews will still be on the ground in Tasmania, some jobs cuts are inevitable as the studios will no longer be in use. 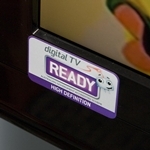 The move, which mirrors a similar production model employed by other regional networks, brings an end to 58 years of production from the station that originally began as TVT6 in Hobart. TVT6 (later Tas TV) was Hobart’s only commercial station for almost 35 years before aggregation saw Launceston-based Southern Cross move in as a competitor. Tas TV became part of the WIN regional network in October 1994. Two years ago the network changed its affiliation partner from Nine to Ten, and ratings have not been kind to WIN under the new arrangement. In the ratings year to date, Southern Cross (aligned to the Seven Network) rates higher than WIN (Ten) and TDT (Nine) combined. Both WIN and TDT also rate behind ABC (6pm-12mn, Regional TAM). 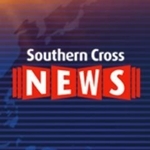 Southern Cross News, which produces a Tasmanian-based bulletin seven nights a week, is already a ratings leader with Tasmanian viewers. ABC News also presents a Hobart-based bulletin seven nights a week. From 2 September, WIN will commence a free-to-air relay of Sky News as a new multi-channel. 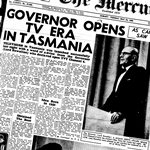 WIN did a great nightly coverage of local Tasmanian news as well as National – we need local content down here and have also lost good newsreaders – maybe we do have Southern Cross but WIN will be missed. I feel that in the future we will lose our our News originating in Tasmania and it will come from the Mainland, including ABC and SBS. ABC TV will probably only have their news channel – cutting out the 7pm News and local Tasmanian Weatherman, Simon McCulloch. We lost our regular reader, Peter Gee, last week when he took retirement – is this the way of the future. What do we, the irate viewers have to do to get our service back? Sad day for all genuine regional TV, given that every regional station has been centralised from one or two major centres for quite some time. Commercial television is becoming more nationally-oriented and it probably isn’t long before regional licensees get replaced by new national ones from each of the larger capitals (with forced mergers just to stay in business).